We are an independent organization of Architects, Interior Designers, Exhibition designers, Product designers, Engineers, Contractors, etc with specialization in the respective fields. The spectrum of services rendered by our organization covers the entire range of project's activities right from inception & conception to the final execution of the project. Our Role and Responsibilities as an Architect: 1. Design Role: We are responsible for creating a design concept that meets the requirements of the clients and provides the facility suitable to the required use. It is generally expected that the design proposal is both imaginative as well as pragmatic but the extent may depends on the place, time, finance, culture and available craft and technology in which the design takes place. 2. Construction Role: Depending upon the client's needs and the jurisdiction's requirements, the spectrum of our services during construction stages maybe extensive or less involved. We typically review the vendors, sub-contractors and provide certificates to them which is based on the work done till date or any goods purchased. 3. Environmental role: As an architect we are required to take initiatives in a wider environmental sense, such as making provision for low footprint, natural day lighting, natural ventilation, pollution & waste management, use of recycled materials and employment of materials which can be easily recycled in future. Planning, designing and constructing form, space and ambience to reflect functional, technical, social, environmental and aesthetic considerations. It requires the creative manipulation and coordination of materials and technology, and of light and shadow. Often, conflicting requirements must be resolved. The practice also encompasses the pragmatic aspects of realizing buildings and structures, including scheduling, cost estimation and construction administration. Documentation produced , typical drawings, plans and technical specifications, defining the structure and/or behavior of a building or other kind of system that is to be or has been constructed. Under the umbrella of space makeover, we have the team of consultants, designers, experts and professionals with managerial skills who are working to provide space makeover for better facilities, styling, budgeting and overall value for money proposition. We have our own furniture manufacturing facility to help you to customize certain furniture as per your space and style requirement. we makeover your space with the help of our professionals designer experienced vendors &contractors, and reliable suppliers to meet your budget, facility, and style. 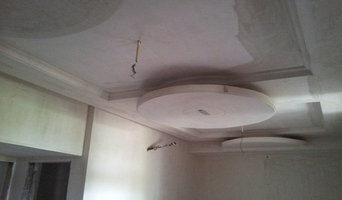 we can do a whole project or any part of projects as per your requirement. Demeure Design Studio is a professional service provider involved in Residential Designs, Interior design,Landscape Design,Graphic & product Designing,Construction consultancy.Problem solving, innovation in materials as well as design and adequate attention to value for money; these are integral to our design process.We endeavor to create contextually relevant contemporary resolutions. The studio is a multidisciplinary design firm operating at all levels from furniture design to architecture. 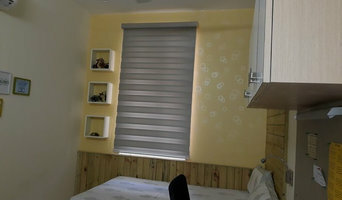 We are a firm of designing buildings, with interiors works. 3D modules with rendering are also provided. Architect and Interior Designer. We provide design consultancy for all types of buildings. Committed to feed this growing appetite for design, Milind has never hesitated in accepting projects in various verticals, as long as there is a design expertise involved at the core. 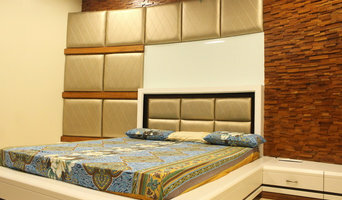 They are today a multi-specialty firm undertaking projects in Commercial, Residential, Institutional, Health and Hospitality Interiors and presently operate from a well-equipped office at jaipur ,sodala Their well-trained design team undertakes professional designing job & execute them in close co-ordination with various agencies engaged for the job. They have a well-equipped studio with complete facilities for end-to-end design solutions. They are driven by a passion for excellence driving them to improve and innovate in all areas and every stage of design development while staying abreast with the latest in technology to ensure consistent high quality work. The site work is closely monitored by the site coordinators & their teams designated for the particular site & the total co-ordination job between the client & the agencies which is taken well care of.Besides Mumbai they have executed projects . Besides jaipur they have executed projects in almost all Rajasthan as well as all INDIA. This philosophy has led to the firm becoming multi-specialty, dynamic and energetic interiors solution firm, targeting designs with a holistic approach. Covered in many Magazines and other Media on a continuous basis, this firm is today a brand par excellence in the Field of Interior Architecture and is fast growing into a Top International Class Design Firm to watch for.The 'Core Purpose of their Organization is to "Inspire Creativity that turns Dreams to Reality". 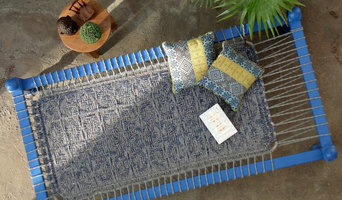 How do I find the best Jaipur architect for my home design or renovation project? When building or renovating your home, you don't simply hire an architect or building designer — you build a relationship with them. Be sure you chose a home architect who will be involved in all phases of the design process, from the initial concept to the completed construction. Architecture is an incredibly technical profession and one where getting things wrong can literally put lives at risk, so ensure you hire a professional with a valid license or an architectural firm to maintain high quality and standards. Your next consideration will be architectural style. Some residential architects specialise in designing traditional homes or farmhouses, others in designing modern replicas of traditional homes. While a few have a knack for imagining bolder, more futuristic architectural design in Jaipur that incorporates the latest technology. How much does hiring an architect in Jaipur cost? Home construction and renovation often have a preset budget and hence it is important to understand how much architects charge. While there is no set payment structure, independent architects may charge differently from architectural firms. Architects sometimes choose to calculate their fees on the basis of a per square foot rate. In rare cases, especially with smaller projects, Jaipur architects may choose to ask their clients for a fixed fee. Make sure the total figure and payment schedule is agreed as part of your contract, particularly if you are trying to accurately estimate the cost of building a house. Find a home architect in Jaipur on Houzz. Narrow your search in the Find Pros section of the website to Jaipur architects. You may also look through photos projects to find building designers in Jaipur who have worked on a project similar to yours.